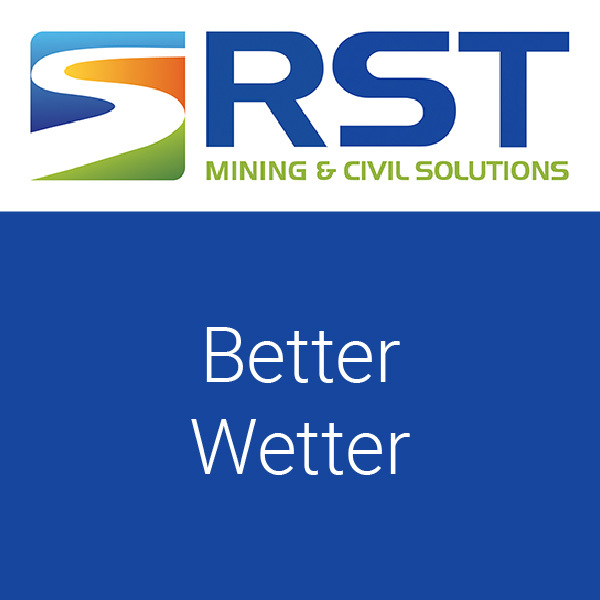 Better Wetter is a ‘Super Wetter’ which helps to overcome the effects of water repelling soils allowing water to penetrate fast into the soil structure. By breaking down the natural surface tension between water and soil, Better Wetter promotes and regains the natural free flowing action of water required within the soil structure to promote healthy vegetation growth. Better Wetter is a chemical that is added to water that is being used to water and irrigate plants, turf, lawn and crops. Better Wetter can be applied in conjunction with other chemical to improve their effectiveness and application process. Please contact us for dosage rates. Whilst mulch and paper erosion systems offer basic water-holding and ground binding properties the addition of a colloidal fixative (Hydromulch Tackifier) will greatly enhance the effectiveness and soil binding strength of the mulch. Soaks into the soil and binds together soil particles forming an aggregation process. The effect of Hydromulch Tackifier is temporary, breaking down in weeks due to sunlight and other environmental conditions, allowing the plants to soon promote erosion control as their root systems penetrate and hold the soil structure. 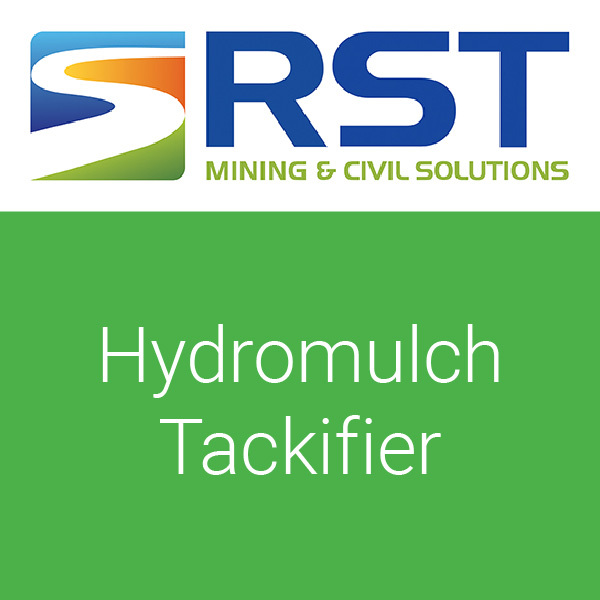 Hydromulch Tackifier is supplied in a powder form that is diluted in the water cart. Agitation is essential in mixing the product properly. It must be sprinkled into the water, allowing all individual grains of product to ‘wet out’. Do not add product in large quantities. Green Marking Dye can be added to monitor application areas. Whilst mulch and paper erosion systems offer basic water-holding and ground binding properties the addition of a colloidal fixative (Hydromulch Liquid Tackifier) will greatly enhance the effectiveness and soil binding strength of the mulch. The effect of Hydromulch Liquid Tackifier is temporary, breaking down over some months, allowing the plants to soon promote erosion control as their root systems penetrate and hold the soil structure. 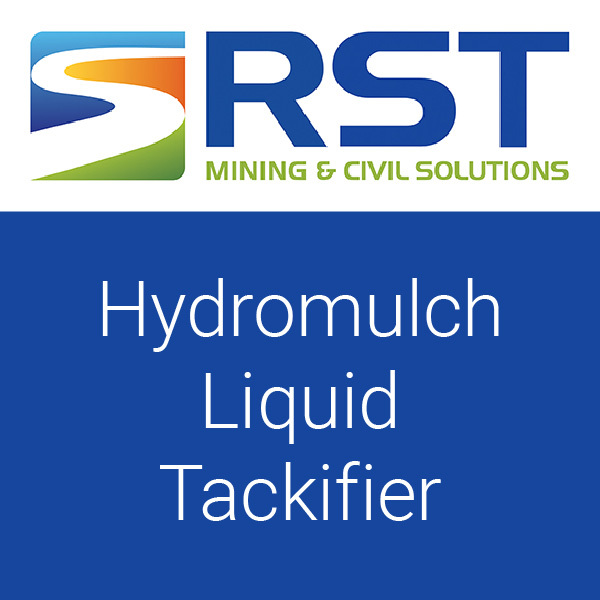 Hydromulch Liquid Tackifier is supplied in a concentrated liquid form that is diluted further in the water cart. Maximum dilution rate should be no higher 0.4% and normal application should be 0.25%. Do not add product in large quantities and is essential to mix in the product properly. Green Marking Dye can be added to monitor application areas. Shamrock Green is a marking dye developed to be added to products as an area identification marker whilst treating or once treated. It is also idea as an application thickness identifier or a ground colourant until turn is established. Shamrock Green can be added into Hydromulch Systems, with soil tackifiers or sprayed directly onto the ground as a colourant. The product can also be mixed with herbicides and pesticides to identify treated areas. A common choice in the revegetation industry. 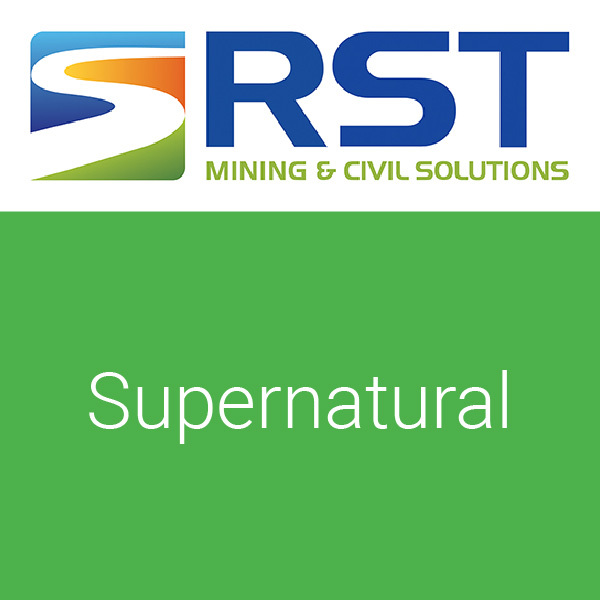 Under normal circumstances, RT5 Superskin is applied at 2-8 mls of concentrate per m2 of material. RT5 Superskin is diluted in water and applied at a rate of 1—2 litres of solution per m2 of exposed material using any conventional water spraying equipment. Seed Stay & Grow has been developed to spray over seed sown ground or alternatively mixing the seeds in the solution and spraying to bind the seeds to the ground and promote faster growth. Seed Stay & Grow binds the seeds to the ground and forms a crust on the soil surface that still enables water to penetrate and the soil to breathe. Seed Stay & Grow creates a soil crust to minimise erosion until the seeds germinate and the vegetation takes over. The individual seeds become coated with Seed Stay & Grow and as a result of the products unique film forming properties, the seeds are protected from the elements to germinate faster. Seed Stay & Grow is diluted with water and then sprayed onto the surface to be treated using standard watering equipment or specialised hydroseeding equipment for project work. A stronger dilution and application rate results in a longer lasting treatment. Supernatural powdered hydromulching/hydroseeding binder contains organic polymers which are simply dissolved into the water of the hydromulching/hydroseeding equipment and sprayed as a binder and crusting agent for numerous hydromulching/hydroseeding applications. Supernatural can be applied as a single component for an ultra-cost effective erosion and dust control solution or in combination with other hydromulching or hydroseeding products as a total erosion package. An added advantage delivered when using Supernatural is when the natural polymers slowly breakdown as polysaccharides, this stimulates the microbiological activity in the soil to energise and revitalise the soil. 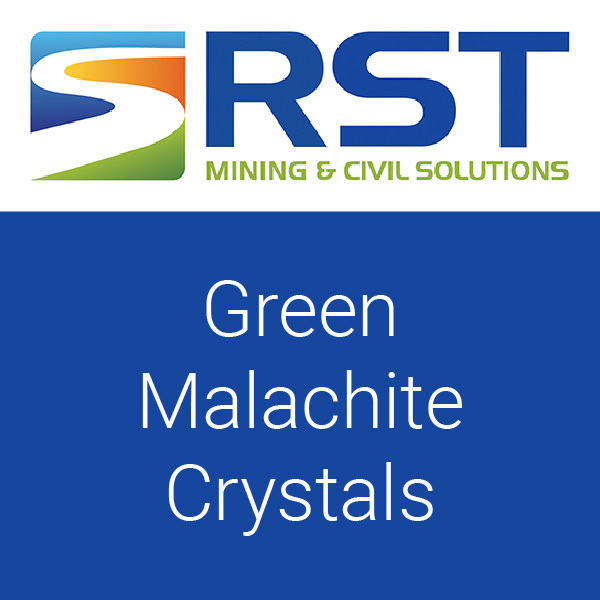 This is very important in rehabilitation projects where topsoils or overburden have been stockpiled for extended periods of time. Supernatural being naturally derived and inert is compatible with all other hydromulching/hydroseeding products. RST have a full range of fertiliser packages, wetting agents and marking dyes to add forming a complete erosion control package. Total Ground Control (TGC) is a specialty polymer emulsion developed as a long term veneering agent for all non-trafficked applications. TGC is diluted in water and sprayed directly onto open ground material for long term results. TGC works on all material types.